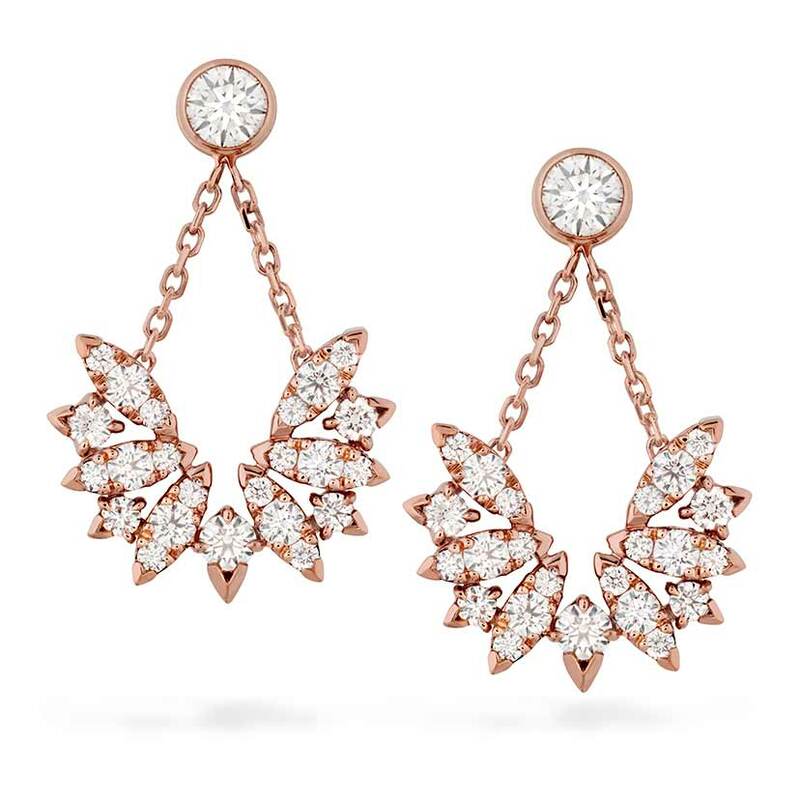 There is just something about a pair of diamond earrings that makes them feel so good to wear. Even if your favorite gemstone is a colorful, sparkly gem of another name, diamond earrings still have the wow factor. Hearts on Fire has a new designer and he’s put plenty of wow in his new creations. Stephen Webster is a new designer at Hearts on Fire and he takes the company in a whole new, almost angelic, direction. Here are just a few of his earrings he’s designed for the company. You can see these beauties in person, should you so desire. These beauties have approximately 1.65 carats of round diamonds. You have your choice of 18K rose gold or 18K white gold. They are studs and will make you the belle of the ball. For the woman who has everything, this is a gift she’s going to really appreciate. 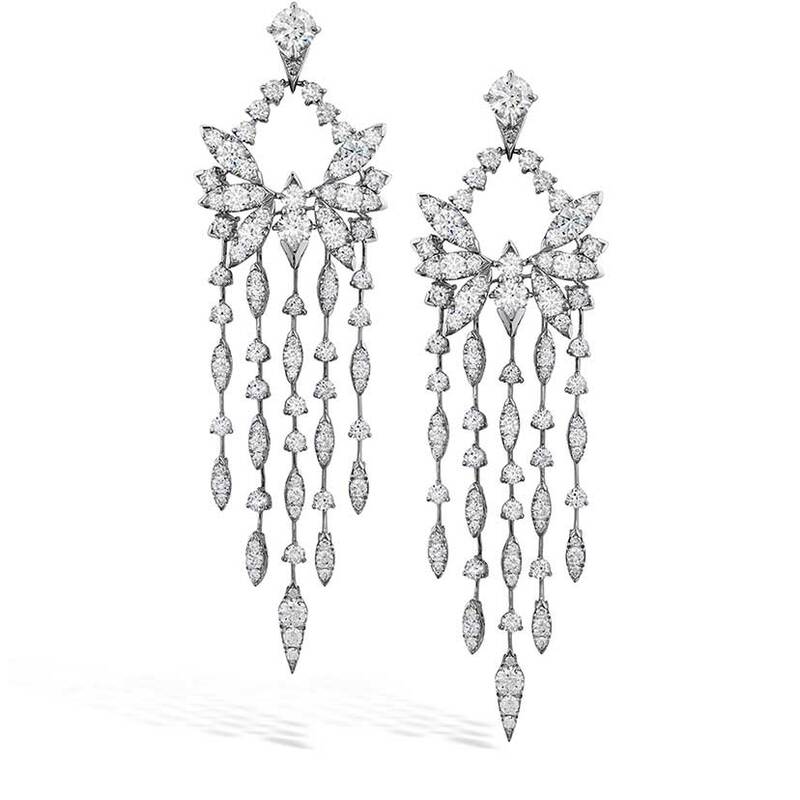 These dangling earrings contain over 11 carats of white round diamonds. They are available in only 18k white gold. The price tag is $70,000 for the pair, which isn’t for just anyone. A sparkling delight on light chains is the pair of Bird Earrings from the White Kites Collection at Hearts on Fire. 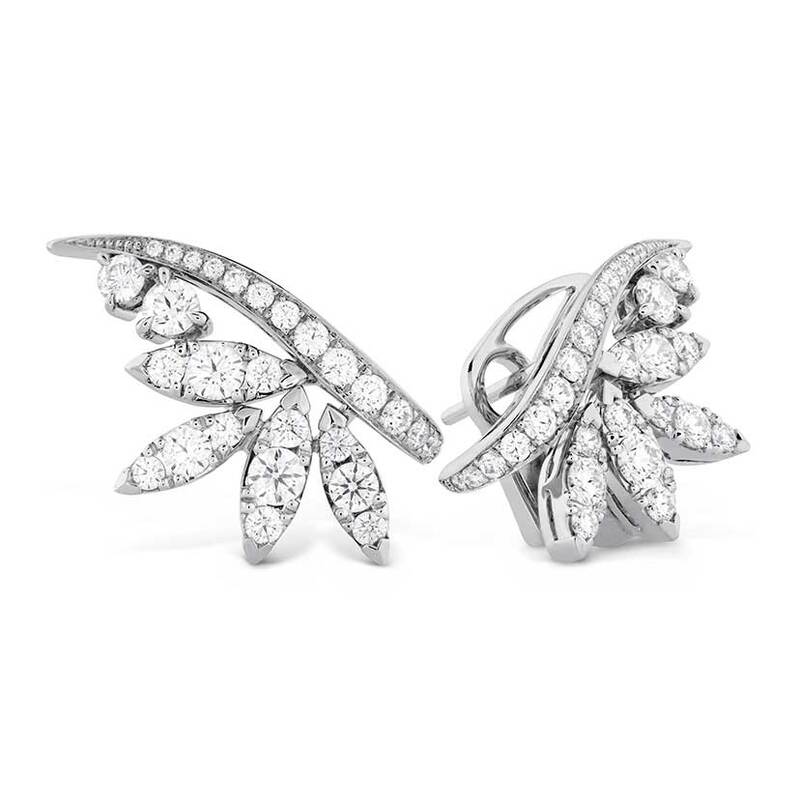 These diamond earrings are available in both 18K white gold and 18K rose gold. There are three different matching rings and a matching pendant. If you are interested in seeing this beautiful Hearts on Fire Collection and diamond earrings, Ben David Jewelers is able to coordinate a showing for you. Contact us at our Danville, VA, location. We’re happy to help in any way that we can. See you soon.